U Channel sign posts in 6ft, 8ft, 10ft or 12ft lengths. 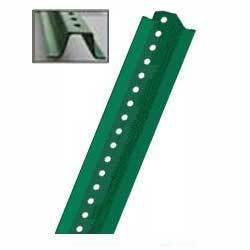 These are standard steel posts for mounting roadway or parking lot signage. U-Channel posts must be shipped via pallet freight! Please call for an accurate shipping estimate. Minimum shipping order is 50 posts. Orders for local pickup can be any quantity.